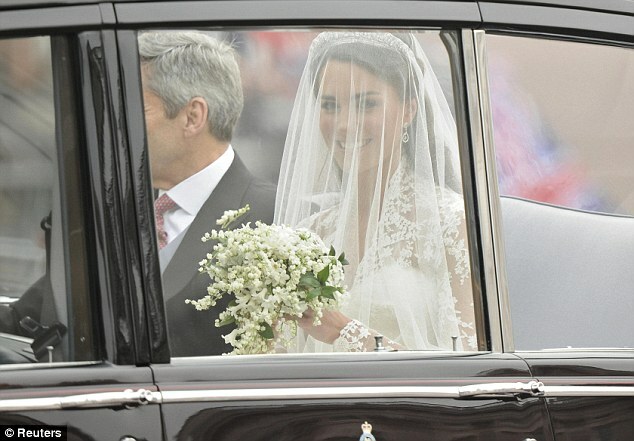 First glimpse of Kate's dress by Alexander McQueen, designed by Sarah Burton, is a beautiful sight! The bride looks radiant in the stunning ivory and satin V-neck lace sleeve gown with full skirt with a long train measuring 9ft! It has been the most well kept secret in fashion with rumours circulating on the internet and in the press about who the lucky designer would be. It is said that Kate was heavily involved in the design of the dress and worked closely with Sarah Burton to ensure the gown would be a fusion of both tradition and modern - the perfect combination for a princess wedding dress! 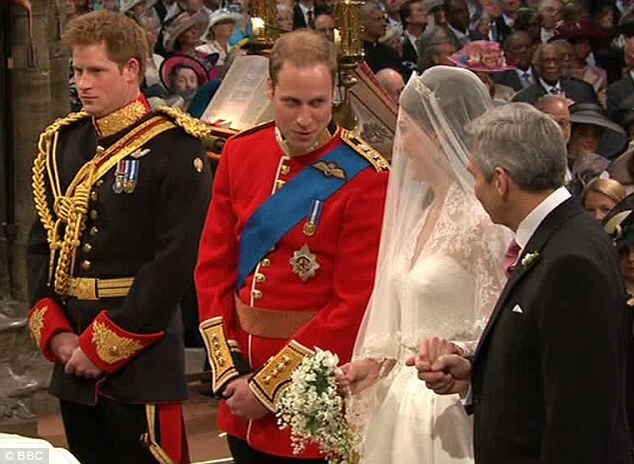 I think the dress is fabulous, perfectly suits the occasion of a royal wedding. It is traditional without looking boring but still modern with the long sleeve lace. 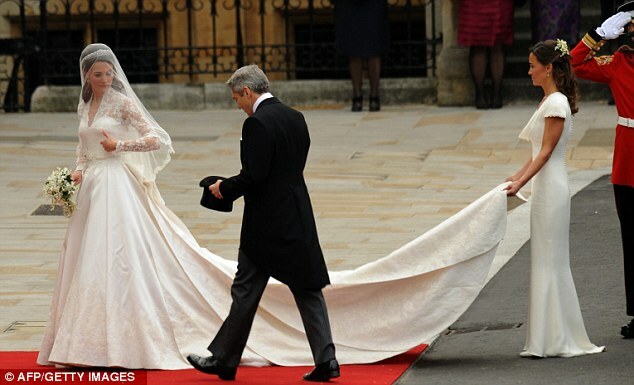 The added touches of the veil, tiara and of course the 9ft train perfectly finish the look of a princess. Kate looked absolutely stunning, Alexander McQueen would be proud.